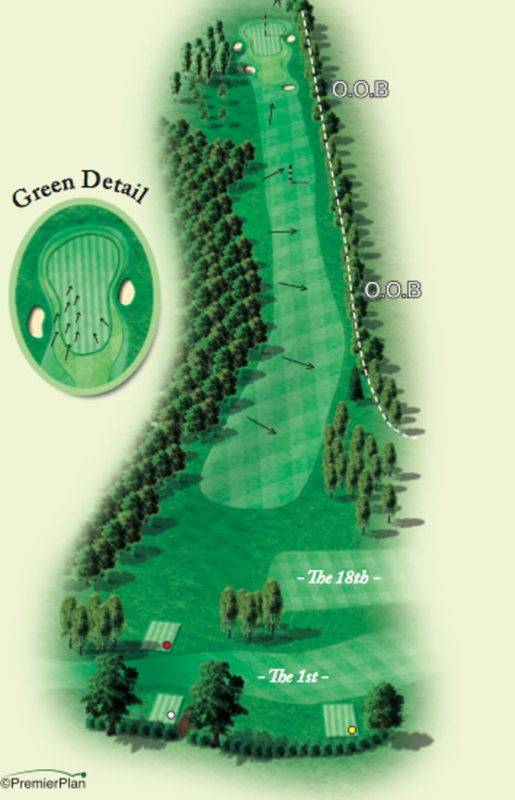 This long par 5 requires a careful drive with out of bounds down the right and dense woodlands to the left. 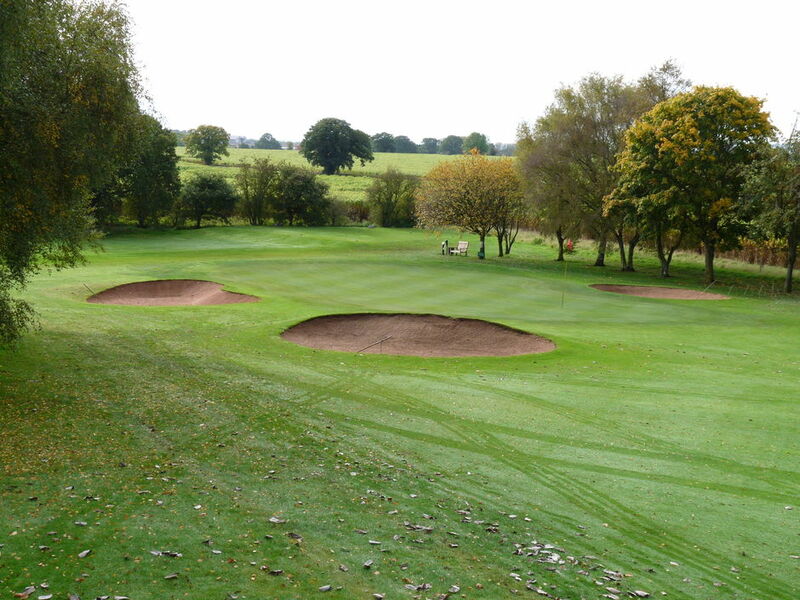 The fairway slopes from left to right that can easily gather an errant shot down towards to the out of bounds area. The second shot must be aimed towards a marker post in the middle of the fairway situated at the top of a hill which leads down to the green. This leaves a shot to a green that slopes from front to back guarded by bunkers.